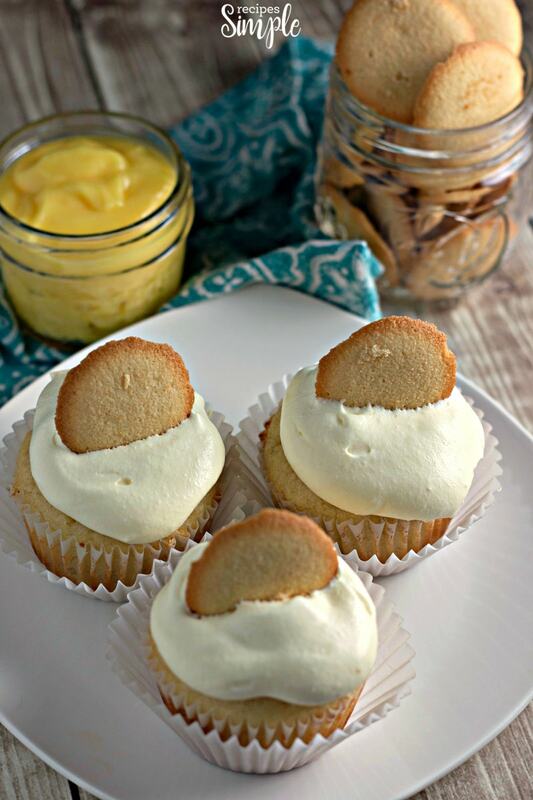 These delicious Banana Pudding Cupcakes are made with a creamy pudding filling then topped with cool whip and vanilla pudding with a vanilla wafer on top. 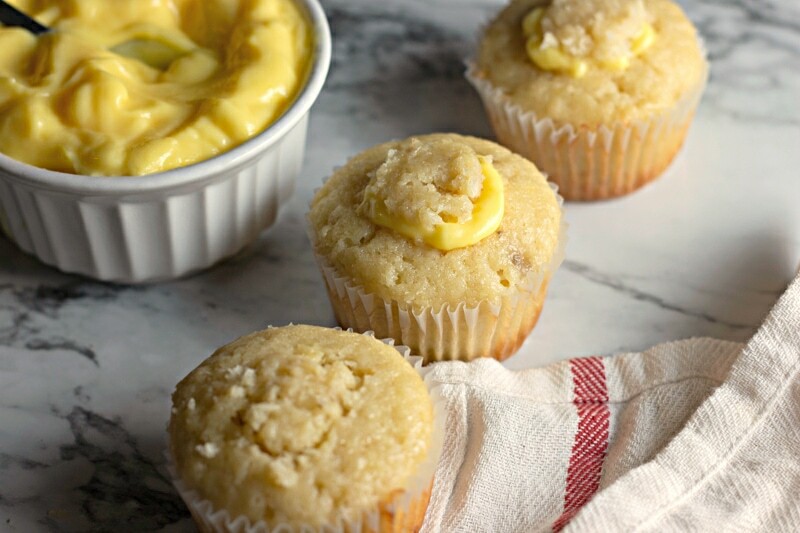 Made from scratch moist Banana Pudding Cupcakes are a sweet treat with all the flavors of my favorite dessert, Banana Pudding. Banana Pudding and Vanilla Wafers are two favorites of mine. 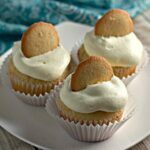 This is a delicious recipe that tastes very similar to classic southern style banana pudding in a cupcake form. It’s the perfect dessert to make ahead for birthday parties, church socials, office events or as a special treat for your family. Everyone at our house loves them! 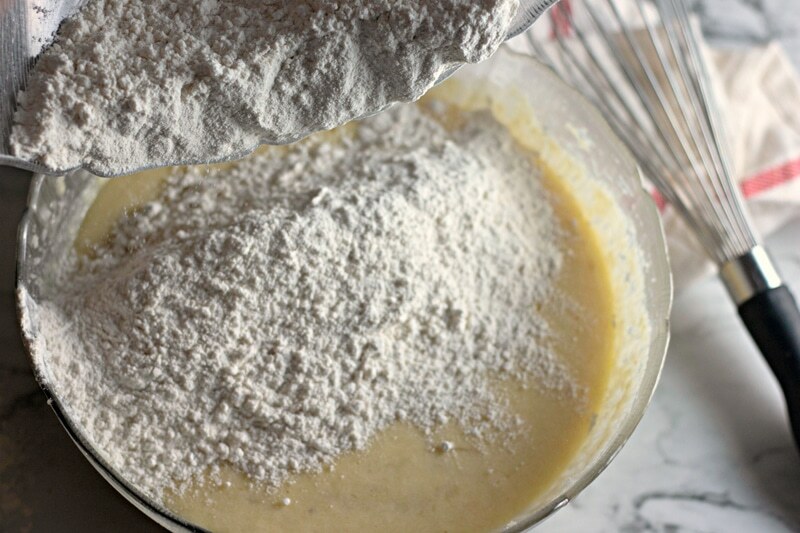 In a large mixing bowl, cream together the butter and sugar with an electric mixer. Add the eggs, vanilla, and sour cream; mix well. Stir in the mashed bananas. 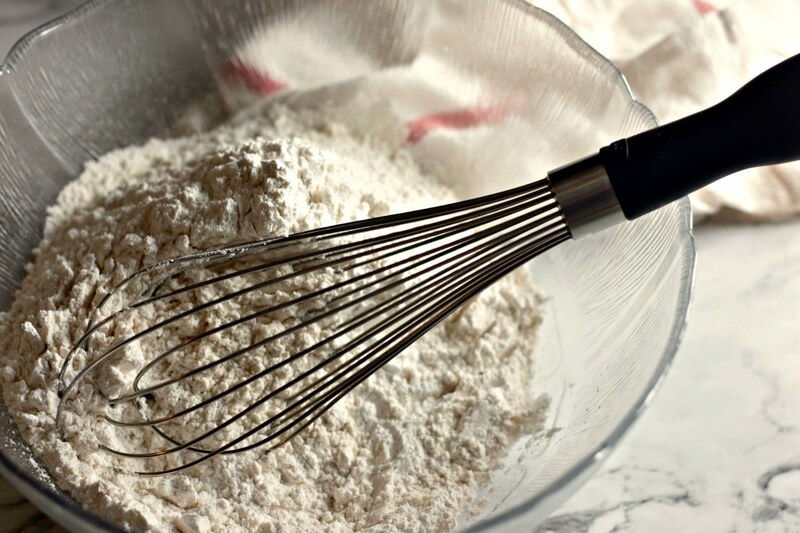 In a medium mixing bowl, whisk together the flour, baking powder, and salt. Pour the dry mixture into the wet mixture and stir until combined. Prepare 18 muffin tin cups with paper cupcake liners. Scoop the batter into each cup, 3/4 full. Bake the cupcakes at 350 for 20 minutes, until a toothpick inserted into the center comes out clean. Set the cupcakes aside to cool completely. In a small mixing bowl, combine the Cool Whip with 1/2 cup of the prepared vanilla pudding. Reserve the leftover pudding for filling the cupcakes. Refrigerate until it is time to frost the cupcakes. Cut a hole in the center of each cupcake about 1-inch in diameter and halfway down into the cupcake. Remove the center of the cupcake and reserve. 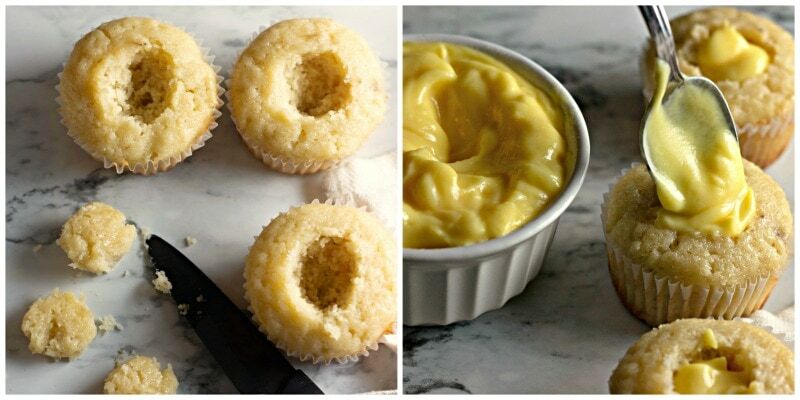 Fill each cupcake with a heaping teaspoon of vanilla pudding. 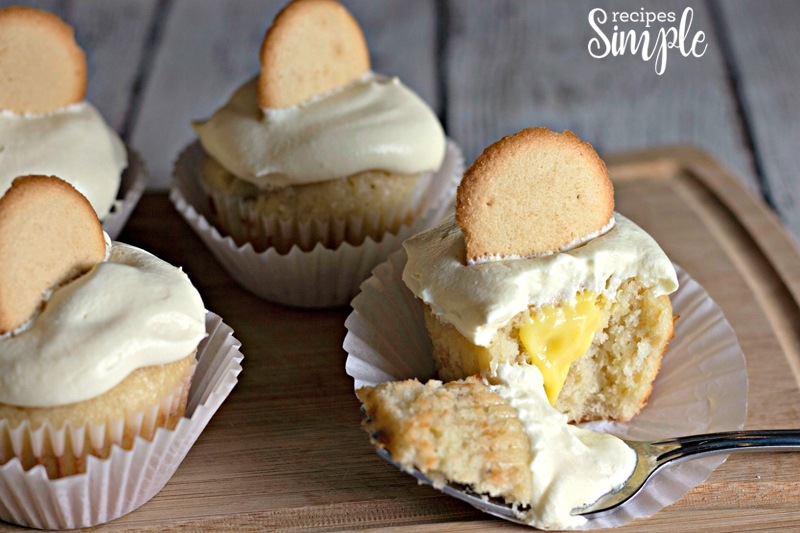 Cut off and discard the bottom half of the reserved cupcake centers to create a small “cap” to place back on the cupcake to cover the hole in the center hiding the vanilla pudding inside. 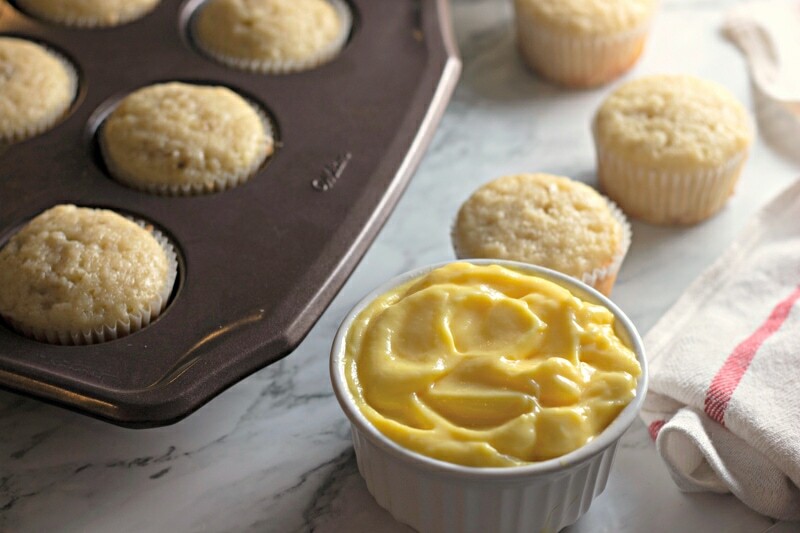 Frost each cupcake with a generous dollop of the Cool Whip and pudding mixture. 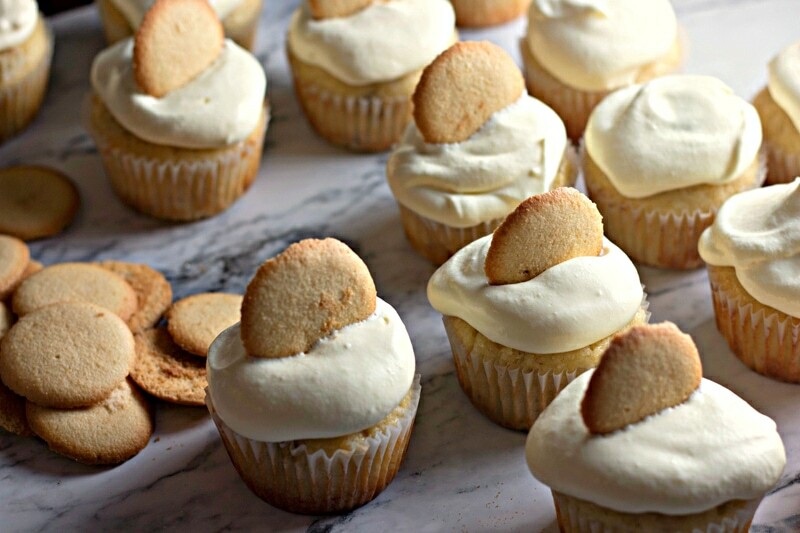 Place one Vanilla Wafer cookie on top of each cupcake. You can use banana pudding instead of vanilla pudding. Sprinkle crushed vanilla wafers over the Cool Whip and pudding topping. Right before serving top with banana slices. 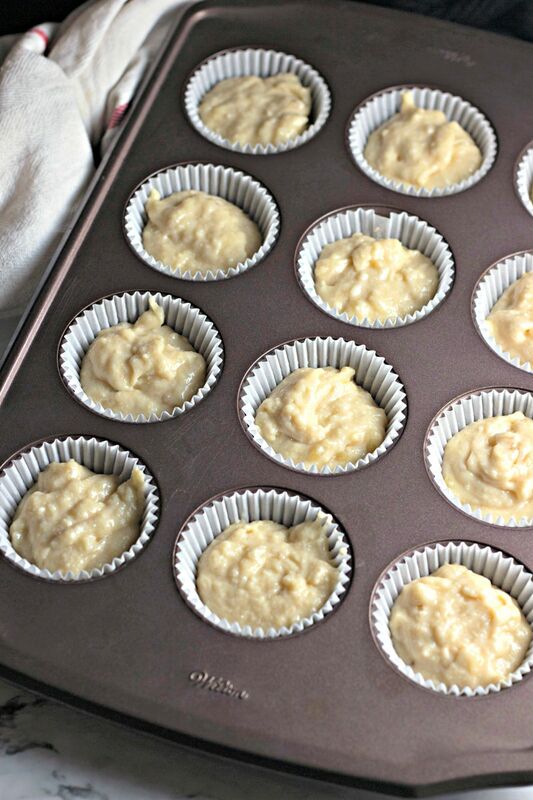 Prepare 18 muffin tin cups with paper cupcake liners. Scoop the batter into each cup, ¾ full. 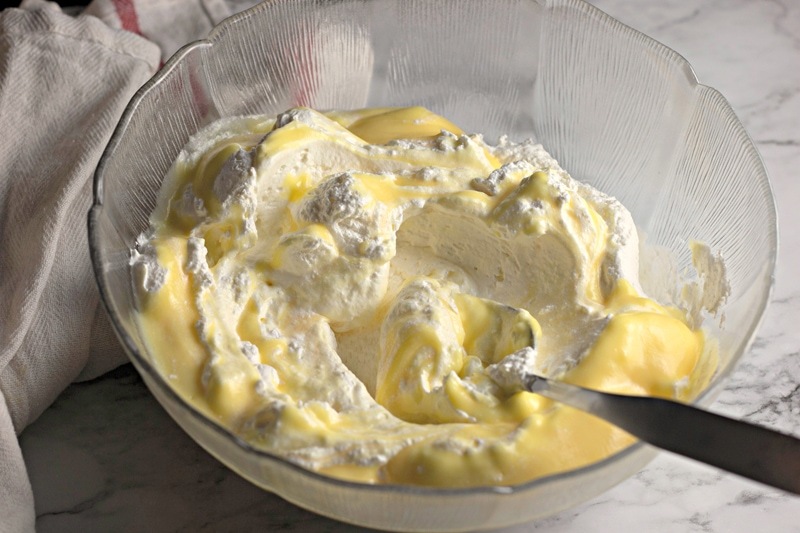 In a small mixing bowl, combine the Cool Whip with ½ cup of the prepared vanilla pudding. Reserve the leftover pudding for filling the cupcakes. Refrigerate until it is time to frost the cupcakes. Cup a hole in the center of each cupcake about 1-inch in diameter and halfway down into the cupcake. Remove the center of the cupcake and reserve. 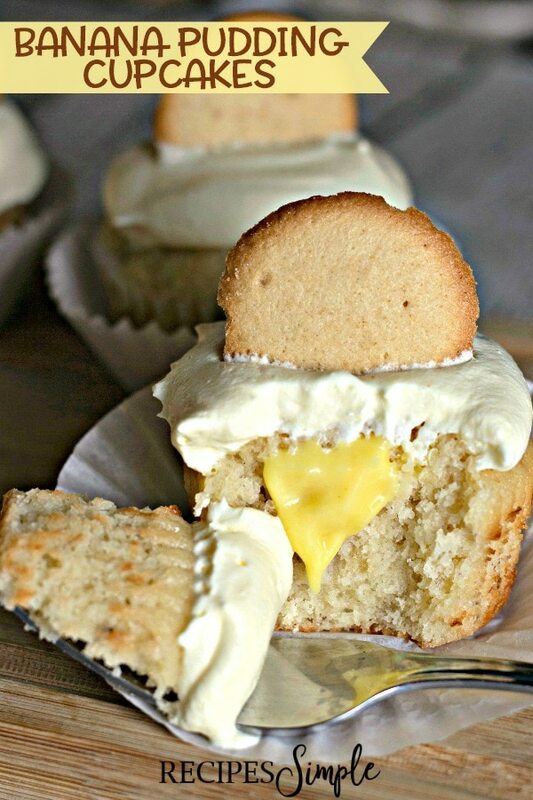 Fill each cupcake with a heaping teaspoon of vanilla pudding. 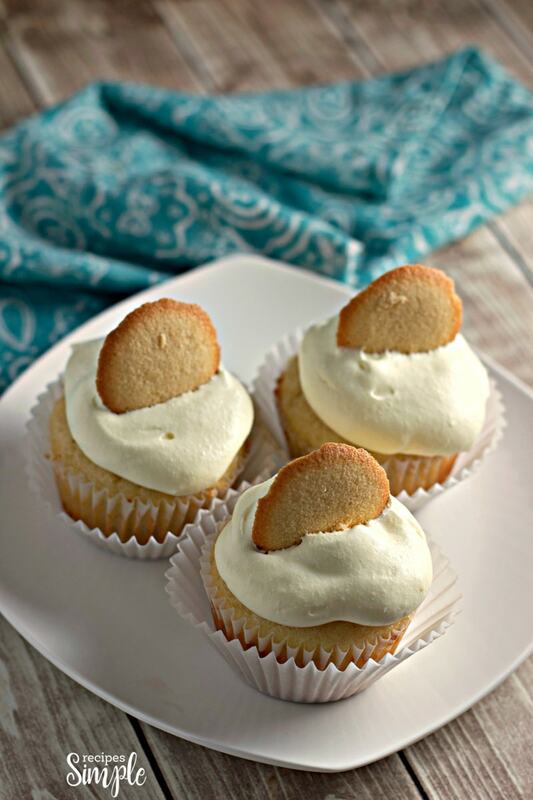 Cut off and discard the bottom half of the reserved cupcake centers to create a small “cap” to place back on the cupcake to cover the hole in the center hiding the vanilla pudding inside. 9. 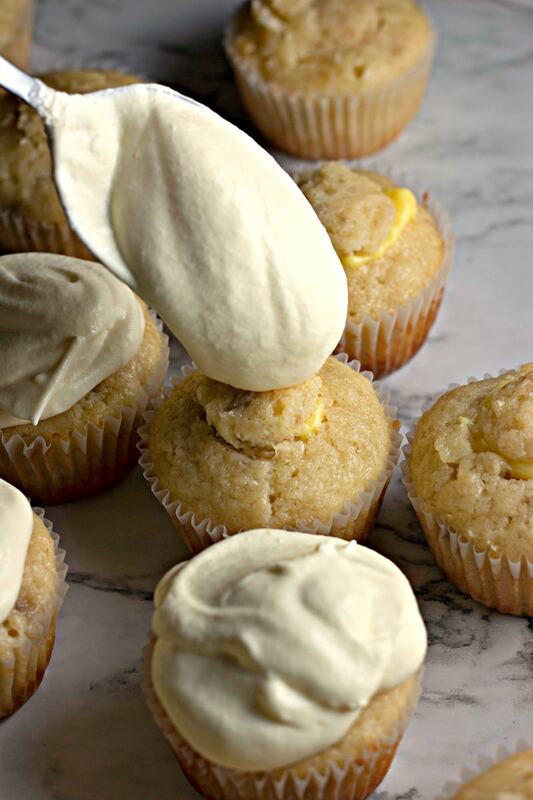 Frost each cupcake with a generous dollop of the Cool Whip and pudding mixture. 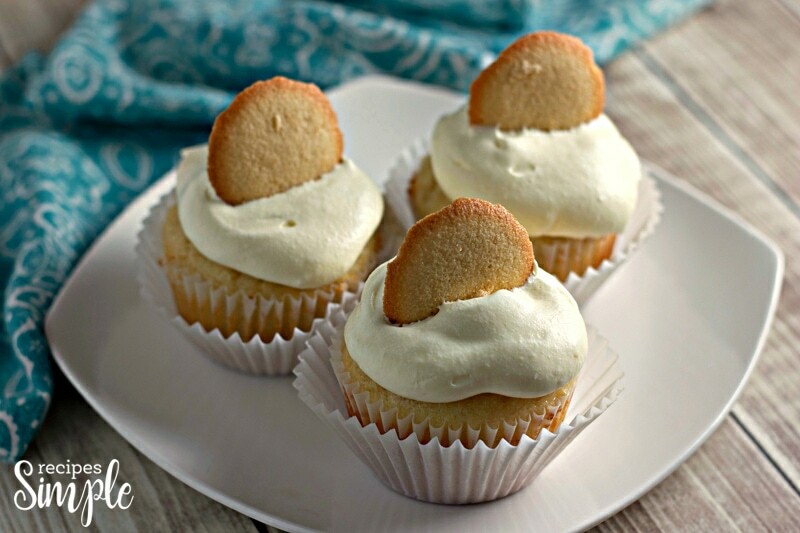 Place one Vanilla Wafer cookie on top of each cupcake.